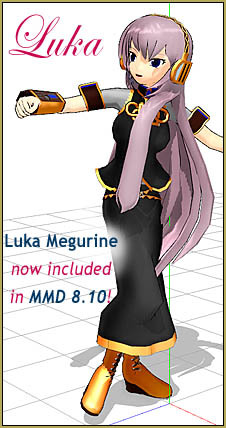 Luka Megurine is included in MMD 8.10! She looks great! I opened MMD 8.10 … loaded the new Luka model, applied the MME SSAO effect to get some better shadows and color-depth … I loaded some motion data and pushed PLAY … and Luka moves beautifully! Be sure to download the newest version of MikuMikuDance to get all of the newest features! 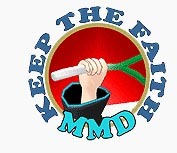 See the LearnMMD Downloads Page for links and downloads!